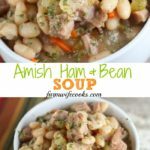 This Amish Bean Soup is an old fashioned soup recipe that is budget friendly and great to make with leftover ham. 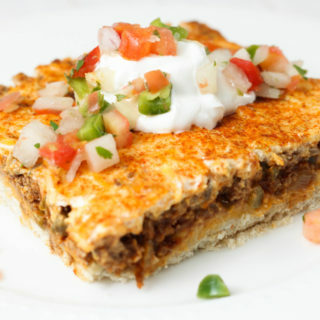 This recipe comes from the Cooking from Quilt Country cookbook by Marcia Adams, featuring Amish and Mennonites recipes. A dear friend shared the recipe with me and I was excited to find a used version of the cookbook available on Amazon. 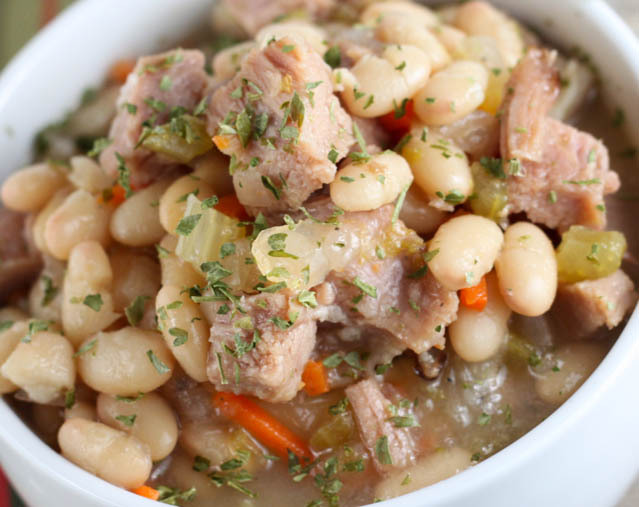 I grew up with my dad making Ham and Beans and I will be honest I wasn’t the biggest fan growing up. But now that he is gone I cherish the recipes he made and the memories we made cooking together. 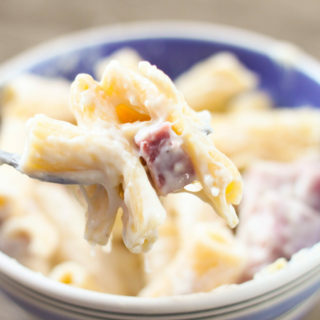 The recipe is perfect to make with leftover ham. 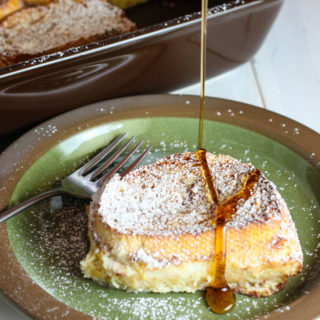 Ham is one of those foods that everyone in our extended family loves so we make it often. 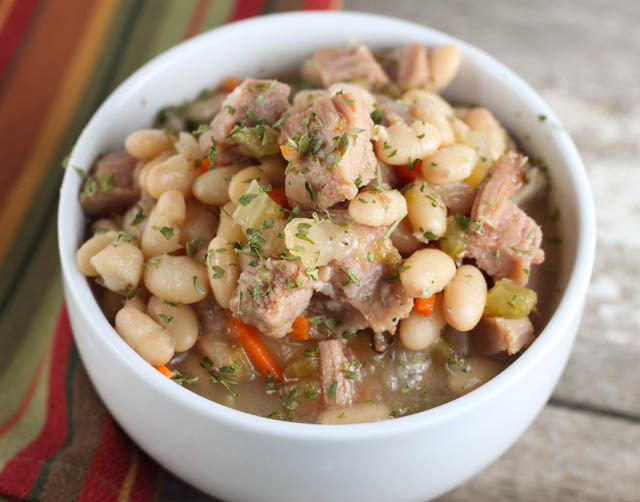 You could easily make this in the slow cooker, cook on high for 2 hours and then on low for 4 hours or until beans are tender. 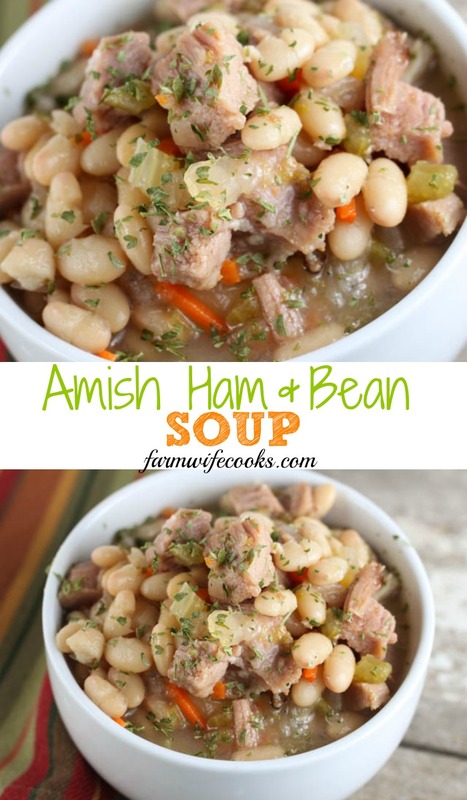 IN a large soup kettle, combine the beans, water, salt and baking soda. Bring to a boil, cover, and simmer for 5 minutes. Remove from the heat, skim off any foam, re-cover and let stand for 2 hours. Add the remaining ingredients except parsley and simmer, covered for about 1 1/2 to 2 hours. Watch beans, for the cooking time will vary and the beans should not get mushy. Remove the ham bone and dice any overly large pieces of ham and return to the soup. This soup freezes well too.